Resigned to carry upto 7 sieves of 8" dia it is driven by 1/4 HP "CROMPTON" electric motor, Without timer thorugh reduction gear. The whole gear mechanism which gives circular and to end motion runs in an oil bath. The tapping motion is given by hammer from top. To work on 220/230 volts single phase A.C.
- Designed to meet ISO 7027. 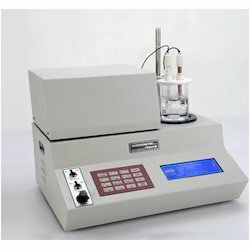 - NTU ( Nephelometric TURBIDITY Unit ) measuring unit. 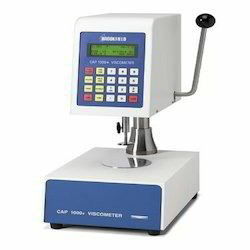 - Wide and auto measurement range : 0 to 1, 000 NTU. Customers can avail from us an immaculate range of Membrane Filter Holders. We offer these holders in several capacities ranging between 47mm, 90mm, 142mm, 293mm with Bubble Test Arrangement. Manufactured by using high grade stainless steel 316 L material and offered in customized specifications. We Are Looking for Buyers Mainly From Maharashtra , Gujarat & Goa. We are leading suppliers of AFM probes & Calibration standard manufactured by Budget Sensors, Bulgaria. Our AFM probes are compatible with many AFM manufacturers. Our price quality to ratio is perfect so as to suit your budget with good quality product. We also provide Film Applicator that are designed for the production of uniform films of paints, adhesive and similar products on plane substrates. We serve our clients by providing them Haemo Meters/ Haemocyto Meters to our prestigious clients. Our hameometer (hameoglobin meter) are available with round tube and plano hameometer are accessible with square tube. The Hameocyto Meters are available in velvet lined boxes with bright line counting chambers & pipettes. - A microscope is an instrument used to see objects that are too small for the naked eye. The science of investigating small objects using such an instrument is called microscope.